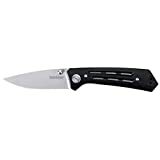 The Opinel folding knife was born in the Savoie region of France in 1890 and has become a Universal object due to its wide use and popularity throughout the world. A genuine trigger of memories, it is recognized as one of the best knives in the world. 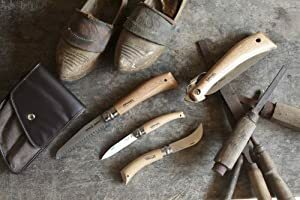 With the same attention to simplicity and reliability, Opinel has designed other ranges of knives and tools for all those who appreciate effective cutting. 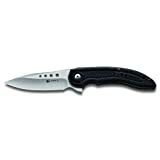 A simple, robust and faithful tool, this essential little knife has been in the pockets of the greatest artists, adventurers, navigators and Mountaineers including Pablo Picasso, Roger Frison Roche, Alain colas, Eric Tabarly, jean-louis Etienne, Ellen Mac Arthur, Paul Bocuse and many more. 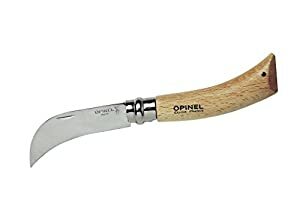 A constant landmark, cited in countless books and songs, Opinel has Risen to the status of a timeless cult object, an unavoidable symbol of French culture..
Cuchillo Cold Steel 80PGTK GI Tanto Carbon de 7 pulgadas.